If Goat Simulator was weird enough for you to get a good grasp on, then this Payday 2 Goat Simulator Heist DLC will definitely leave you dumbfounded. Or just simply bursting with laughter at the absurdity of it. The name of the DLC alone is enough to get a few raised eyebrows. The primary objective in the DLC is for the gang to steal the goats that are being used to smuggle cocaine inside their bodies. Read that sentence one more time. Cocaine. Inside. Goats. Just check out the trailer. You are then required to deliver them to Vlad, by way of his driver Boris. Luckily, though, the job only applies to the stealing and delivery part — poor Boris will be the one to take out the cocaine from the goats Ew. Thank the heavens for Boris. The goats aren’t exactly sitting ducks, though. They will make it hard for you to catch them. If you are being lax because of the silly premise, you might end up getting frustrated at catching the goats. So, just treat them like your average human targets, plus the horns and goatee. 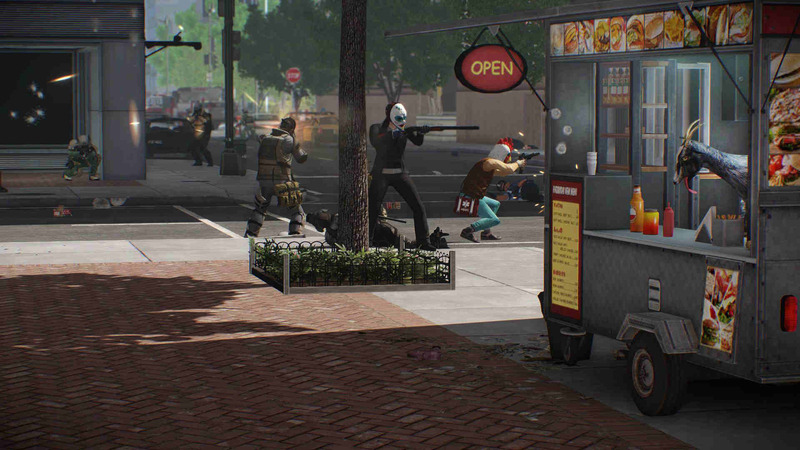 The Goat Simulator Heist DLC for Payday 2 will be available on January 14. Payday 2 is a shooter game with stealth and tactics elements. The game basically places you on the other side of the law, doing the dirty stuff that cops are out to apprehend, like robbing banks and smuggling illegal weapons. Players get “jobs” from a fictional website in the game. For fans of classic heist films, this game is a definite shoo-in in their to-buy list. Goat Simulator, on the other hand, is just plain weird. It’s an action game where you control a freaking goat and just cause chaos around the map. You might ask the question, “But how do the goats carry objects in the game? They have no hands!” Simple: They use their tongues to drag them around for fun. Cool, eh? Okay, it’s disgusting. To have a product that actually combines these two games in the form of the Goat Simulator Heist DLC pack is definitely not one you would expect. But here it is, so just go and get those goats.